The first wedding we documented together. With different members of Inkanyiso crew. 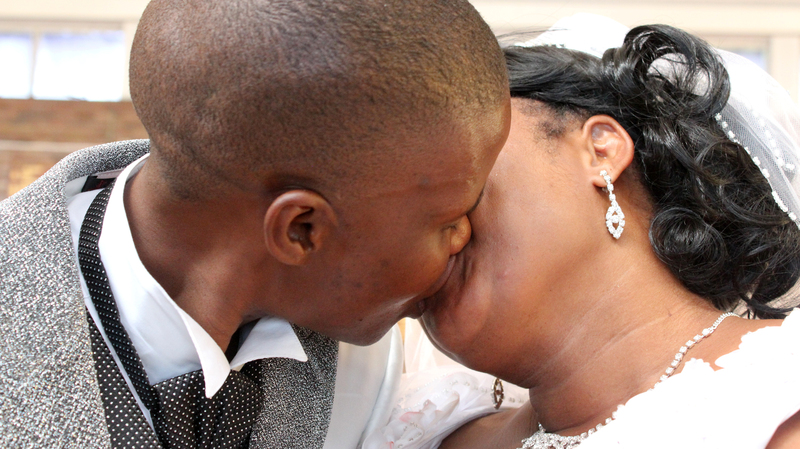 Kissing are Pinky & Qondi Zulu as they were married, union blessed by Pastor Z. Zungu. This entry was posted in Another Approach Is Possible, Archived memories, Creating awareness, Durban, Expression, Lesbian kiss, Pinky & Qondi Zulu, Power of the Voice, South Africa, Strength, Visual power by ordinary people, We Are You, We Care, We Still Can with/out Resources and tagged Act, Action, beauty, Black Lesbian Wedding;, Civil Union Act (2006), Experience, Expression, Family, Friendships, Homosexuality, Human beings, Inkanyiso media, Life, Love, Photography, Relationships, Respect, Sexuality. Bookmark the permalink.